Observing Arab-American History Month at the Maltz Museum of Jewish Heritage as part of their “Begin the Conversation” project. A tense drama unfolds when Intisar, a veiled, African-American Muslim student arrives to spend a year at the American Egyptian University in Cairo. 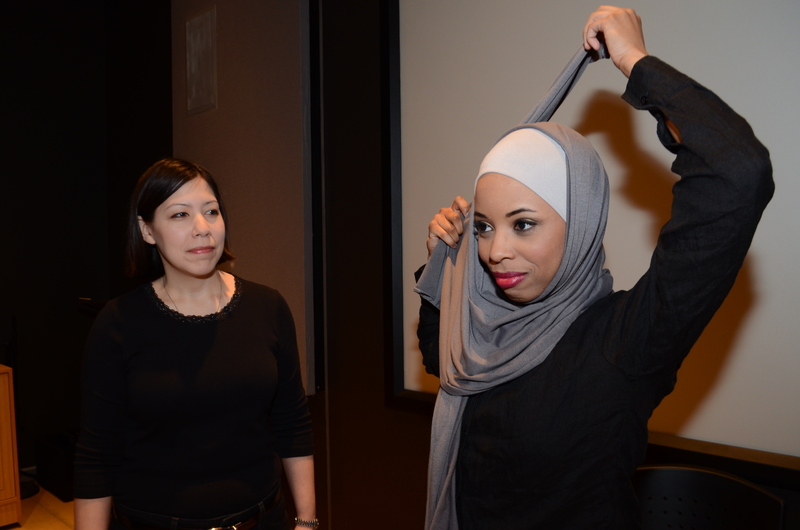 There she meets Samar, her liberal Egyptian roommate who has no use for the veil. Along the way, both women become embroiled in the Arab Spring uprising. Against a tumultuous political landscape, they attempt to find their footing, only to discover they are on opposite sides of a bitter and dangerous cultural divide.